Home / Product review / Dalefoot composts- The ericaceous trial! 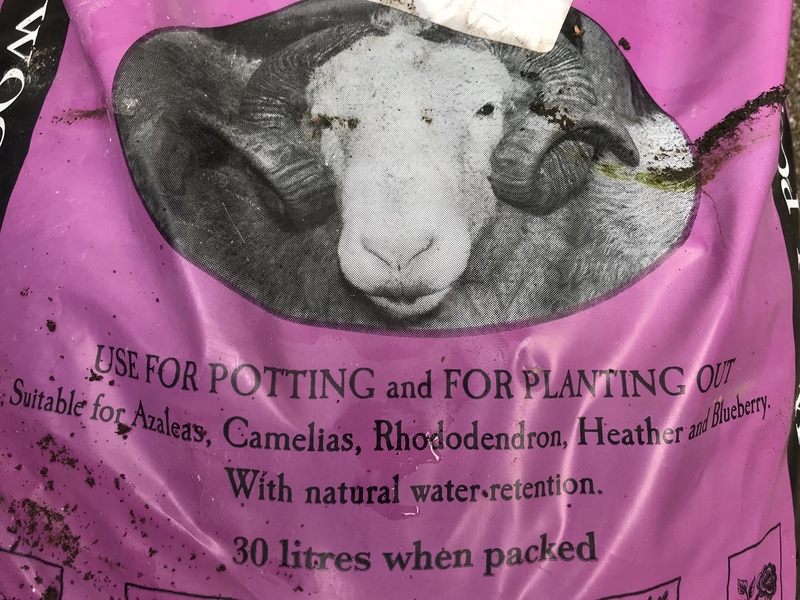 Dalefoot composts- The ericaceous trial! Finding a good peat free seed compost is hard enough but to find one for growing acid loving plants is even harder! I was lucky enough to be given a bag of this to try and it has been waiting until the spring for me to start my little trial. Like the seed compost, this will be tried over the next year or so, not just in one plant but over a range of different plants and growing habits. So what is Dalefoot compost and what makes it so special? Well it’s a compost based on an old Victorian recipe that incorporates well rotten bracken and sheeps wool from Herdwick sheep. This produces a compost that holds water well but is also free draining. The compost is also contains potash and slow release nitrogen, as well as trace levels of iron and magnesium. The bracken is harvested in rotation from the Lake District while the wool is from the sheep that live on the hillside. The bracken used for the Ericaceous is taken from the acidic areas in the fells. This compost is supposed to be ideal for blueberries, so as my children love blueberries, I decided to buy a couple in a large fruit order I put in too R V Rogers, so on Saturday afternoon with my little hampers helpers, I potted them on into the compost. Like the seed compost, it was soft to the feel and nice and springy. I tried squeezing it and it formed a nice sausage that broke down finely once touched. Previous post: Water logged soils- what to do? That sounds nasty! It is probably just as good if one is not aware of what it is made of. When we were in school, my colleagues father had us throw steer manure in the rose garden, and my colleague did not know what manure was. He did not believe me when I told him where it came from because I had a history of such lies. Hi Thomas. It looks good. Not tried – not seen even. Be interested to see and hear what you think. Are you trying on any herbaceous ?